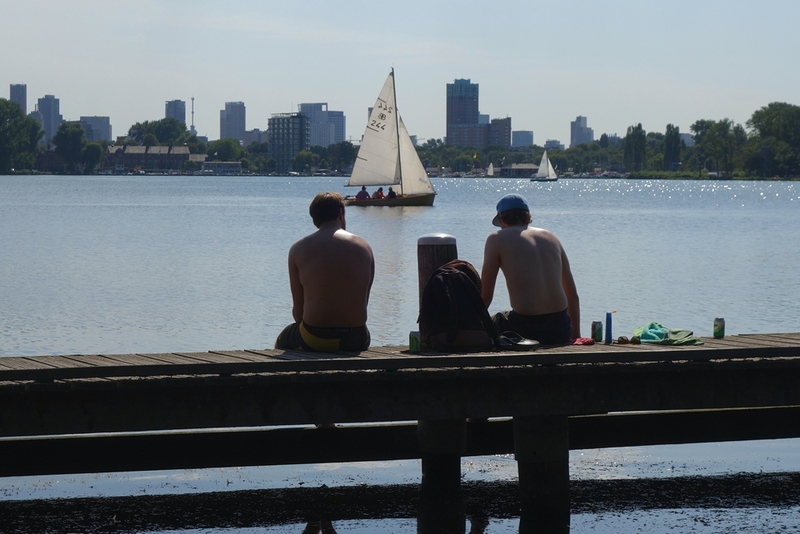 Looking for a Top 10 summer day trip in Rotterdam? Come on over to the Kralingse Plas. The Kralingse Plas city lake is a highly esteemed recreation area, on the east side of the city. It is a great place for chilling, wandering, cycling, running and rollerblading. This green park, recognizable by two historic windmills on the southeast side of the lake, is very vast. The surface area of the Kralingse Plas is around 1,2 square miles. Especially on weekends and during summer holidays, many locals like to come here. The lawns around the lake are perfect for summer picnics. In certain places (marked with signs!) barbecuing is allowed, although open fire is strictly prohibited. 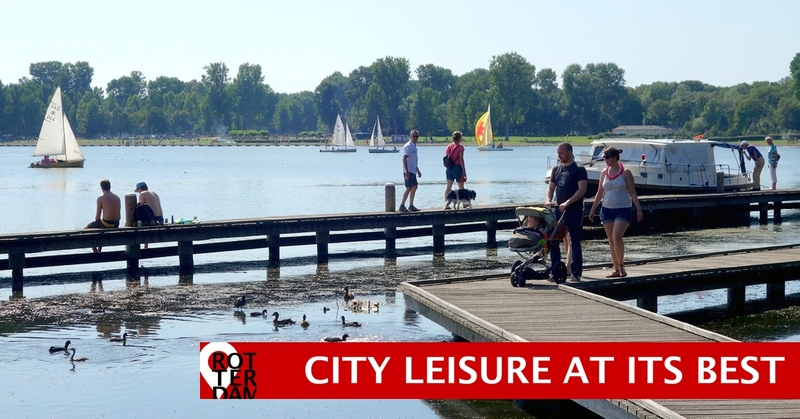 The city lake itself is suitable for swimming, boating, sailing and surfing. Renting a sailboat is possible, too. This is city leisure at its best. Around the lake you will find some spacious restaurant terraces. You can enjoy a bite and a beer, and nice city skyline views, too. Besides the typical urban location, there is another New York parallel in the making. We have been looking forward to the new beach terrace of The Boathouse Kralingen. Obviously named in the tradition of famous lakeside restaurants, like The Loeb Boathouse in Central Park. This impressive glass pavilion is built in a semi-circular shape. Chief asset: a panoramic view over nearly the entire Kralingse Plas city lake. April 2016, The Boathouse opened its doors and became a new place-to-be. Without a doubt a competitor for ‘De Tuin‘ (translated: The Garden), one of our favorite hotspots around the lake. Kralingse Plas city lake on Google Maps. Looking for another great park in Rotterdam? Read our blog post about the Vroesenpark. Rotterdam Top 10 city? Huh, who said so?